October 28, 2017 is the last day Etihad will fly between Abu Dhabi and San Francisco. The new route network between Abu Dhabi and the US as of October 29 is pictured above. This is not great news for those living on the west coast that want to fly Etihad as it decreases the overall amount of award space available. At least the Los Angeles route is remaining intact. Out of the US routes mentioned above, the only one served by an A380–meaning it has First Class Apartments–is between Abu Dhabi and New York City (JFK). Scott flew it at the beginning of 2016. Read his trip report here. First Class on the A380 is an enclosed suite with its own couch, flat screen TV, vanity unit, and access to a shower, onboard lounge, and bar. The Etihad First Class Apartment on the A380 is arguably the fanciest commercial First Class in the world, which you can to fly for nearly 15 hours from Abu Dhabi to New York. Etihad has nine First Class Apartments on its A380s spread across four-and-a-half rows in the front of the upper deck. In the middle of May I wrote about all the First Class Apartment award space on the A380 open flying Abu Dhabi to New York City. While award space has been picked over a bit, it’s still widely available from mid October 2017 and onwards. The Guest First award space (for 117,700 Etihad miles) is Etihad’s name for Saver level space, meaning it’s bookable with partner miles (partner miles will have different prices). At the time of writing that post, it looked as though there was only First Class space in the Abu Dhabi > New York City direction. Then View from the Wing wrote about a trick to reveal First Class space in the other direction. Basically, you must search on etihad.com for roundtrip award space originating in Abu Dhabi. To learn exactly what to do, read Trick For Finding/Booking Invisible Etihad 1st Class Award Space. Etihad awards are bookable with ThankYou Points, Membership Rewards, or SPG points as they all transfer to Etihad Guest at a 1:1 rate. They are also bookable with American Airlines miles. Prices in Etihad miles will vary depending on the route, but it will cost 115,000 American Airlines miles in First Class, 70k in Business, or 40k in economy one way whether you are flying between the US and the Middle East or the Indian Sub-Continent region (including the Maldives). You can find award space on Etihad.com. Note your desired travel date(s) and flight number(s). If you’re booking with American Airlines miles call the AAdvantage Customer Service in Australia at +61-2-91011948. The representatives there are known for being savvier than other offices. If you’re booking with Etihad miles, call the Etihad Guest in the United Kingdom (+44 0345 6081225). From my experience agents there are the most knowledgeable. If you’ve had your eye on an Etihad flight, it’s your lucky day, because at the moment it is really easy to rake in tons of American Airlines quickly. The Citi / AAdvantage Platinum Select MasterCard is now offering 60,000 bonus American Airlines miles after spending $3,000 in the first 3 months. The CitiBusiness / AAdvantage Platinum Select World MasterCard is also offering 60,000 bonus American Airlines miles after spending $3,000 on the card in the first three months. 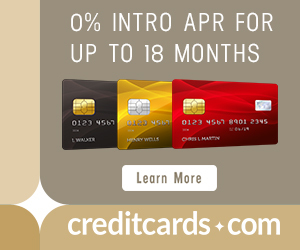 Sign up for both at the same time (yes, you can do that, just be sure to get them on days 1 and 9, as you can be approved for no more than one Citi card in an eight day period) and meet the collective $6k spending requirement in three months, and you’ll have at least 126,000 American Airlines miles. Both offers are marketed as limited time only, but no end date is currently known. 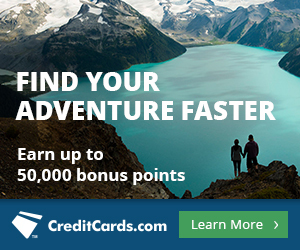 On top of those offers, the Barlcaycard AAdvantage Aviator Red World Elite MasterCard is offering 50,000 bonus American Airlines miles for opening and putting just one purchase on the card (you also must pay the $95 annual fee). If you want all three cards, I recommend applying for the Barclaycard first as Barclays is known for being the most inquiry sensitive bank. Altogether that would be 176,000 American Airlines easily attainable within three months. As of October 29, Etihad is terminating their Abu Dhabi <> San Francisco route. The last day to fly it is October 28. If you live in San Francisco and want to fly Etihad after that date, your next best option will be to fly out of Los Angeles. If redeeming AAdvantage miles on Etihad award space, you can add a leg between your hometown and Los Angeles flying American Airlines or Alaska Airlines without changing the price of award, as long as it is in the same or a lower cabin class as your main award. I used to fly SFO-AUH-BOM. Now, can I book SFO-LAX-AUH-BOM or is this routing possible only if Etihad has published fares fromSFO-BOM?